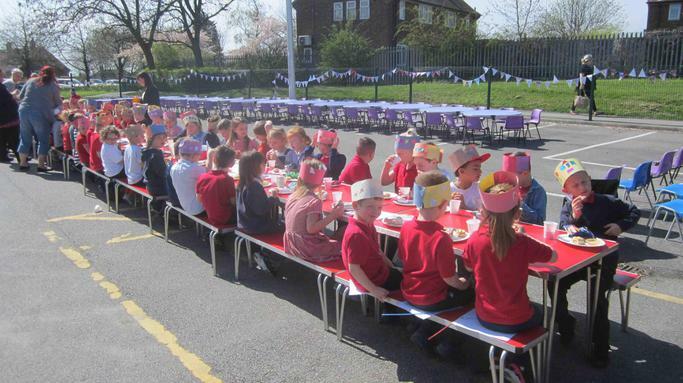 As it was the Queen's 90th birthday this week, we decided to mark this special occasion here at Swarcliffe Primary school. Throughout the week, we have been learning all about the Queen and the Royal Family. We have also studied the kings and queens of England throughout history. 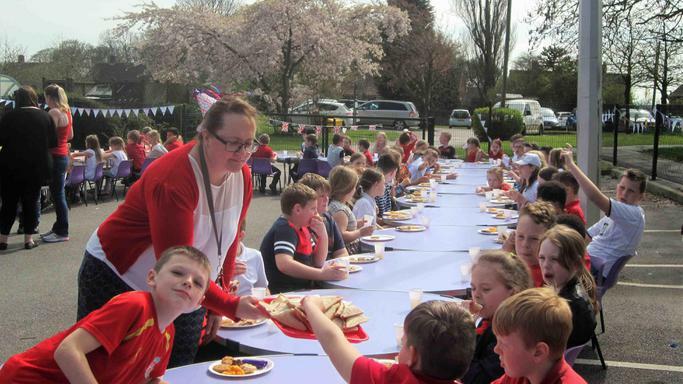 Finally, we held a fantastic outdoor street party for all of the children. The party was decorated using the bunting that the children had made in class. 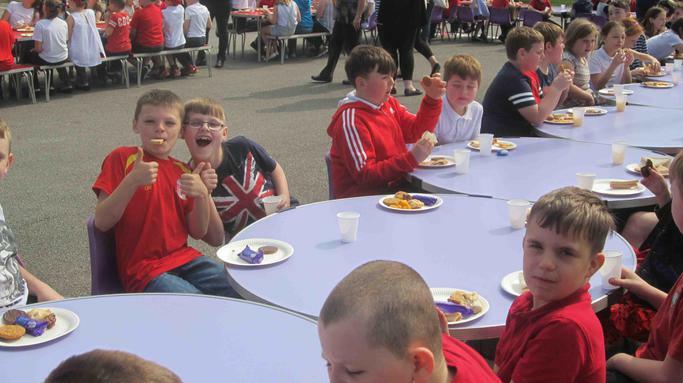 Fortunately, the sun shone and the rain didn't fall! 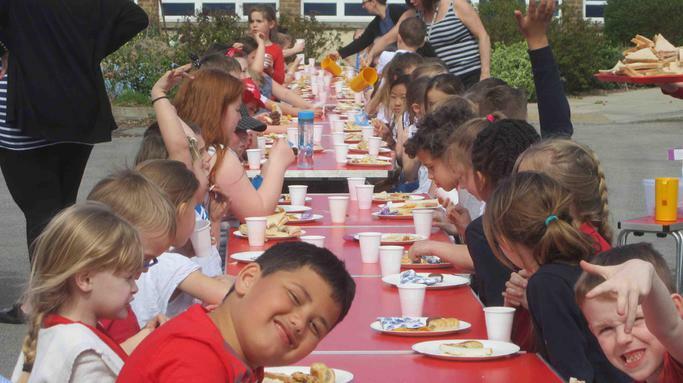 Everyone had a great time and a record number of jam sandwiches disappeared in minutes! 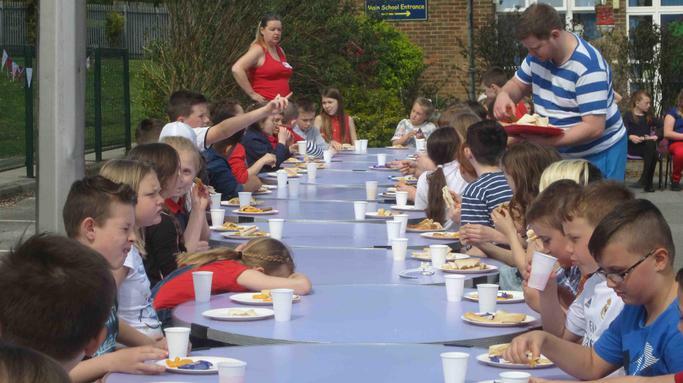 A big thank you to the parent helpers who helped to make this event so successful.